The following are detailed specifications about the 40-Watt T10 Light Bulb. 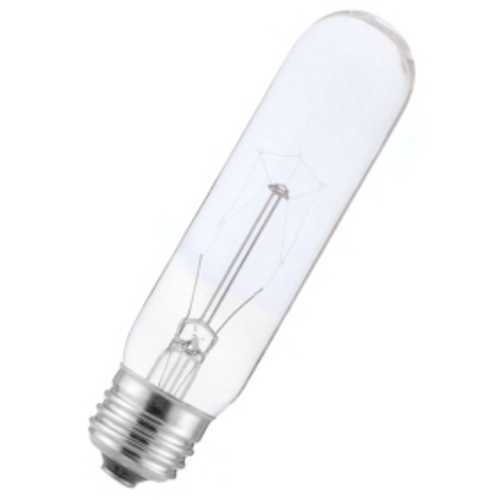 40-watt T10 incandescent bulb with clear finish and medium aluminum base. Average rated life of 1000 hours. Line voltage. Sylvania has been around for over 100 years and is focused on producing great lighting products with longer life and greater energy efficiency. Can't find what you're looking for? Give us a call at 1-800-653-6556 or send us an email at customerservice@destinationlighting.com and we'll help you find the product. With our 14 physical stores and close relationship with our manufacturers, we are able to provide accurate answers faster than other online retailers. This 40-Watt T10 Light Bulb is part of the $item.xCollectionName Collection from Sylvania Lighting. The following items are also part of the $item.xCollectionName Collection.